Disclosure: I received a complimentary copy of the “I Love My Instant Pot” Gluten-Free Recipe Book from Simon & Schuster for purposes of this review. All favorable opinions are my own. Where can you find some great gluten-free Instant Pot recipes (including this amazing Quinoa Tabbouleh)? In the newest “I Love My Instant Pot” Recipe Book from Michelle Fagone. You may remember this yummy Instant Pot Poached Pears Recipe from the original “I Love My Instant Pot” Recipe Book. 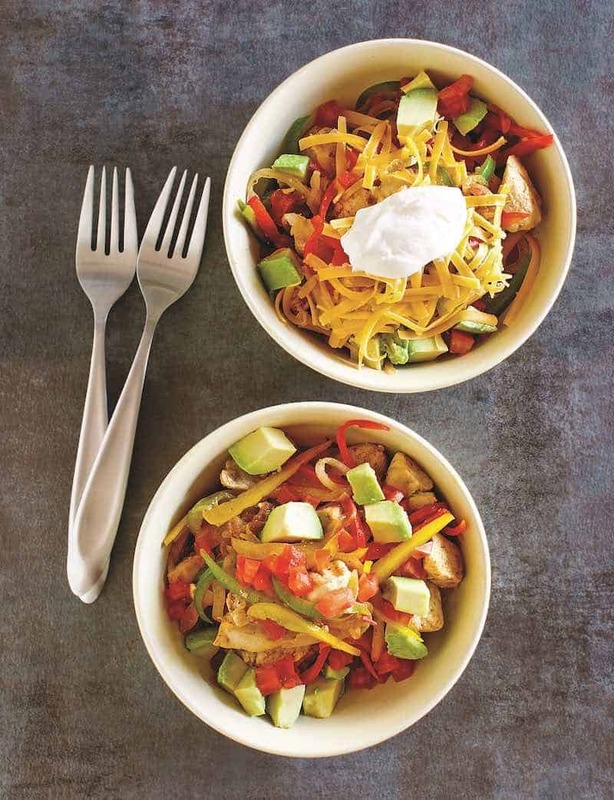 Well, Michelle has done it again with the “I Love My Instant Pot” Gluten-Free Recipe Book which includes 175 gluten-free recipes that look absolutely amazing. Personally, I am so pleased at how far gluten-free awareness has come. Over 20 years ago my son was born with multiple food allergies including wheat and gluten. At that time, public awareness about food allergies was virtually nonexistent. As a young mom and a new cook, it was really hard for me to find gluten-free recipes to feed my family. So, you see, the “I Love My Instant Pot” Gluten-Free Recipe Book really fills a need to help people live healthier lives. 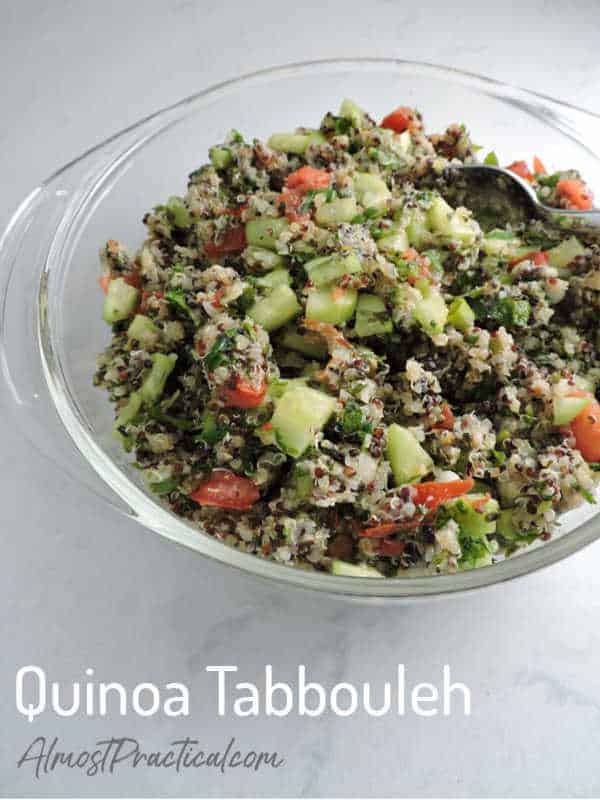 Today, I am going to showcase the Instant Pot Gluten-Free Quinoa Tabbouleh recipe from Michelle's book. But first, let's talk about the Instant Pot for a second. The Instant Pot is an extremely useful small kitchen appliance. Actually, it is about 7 appliances all rolled into one. It comes in a few different models and sizes, but the one that I am using for this Gluten-Free Quinoa Tabbouleh is the Instant Pot DUO60, which is a 6 quart model. Which Size Instant Pot Should I Buy? 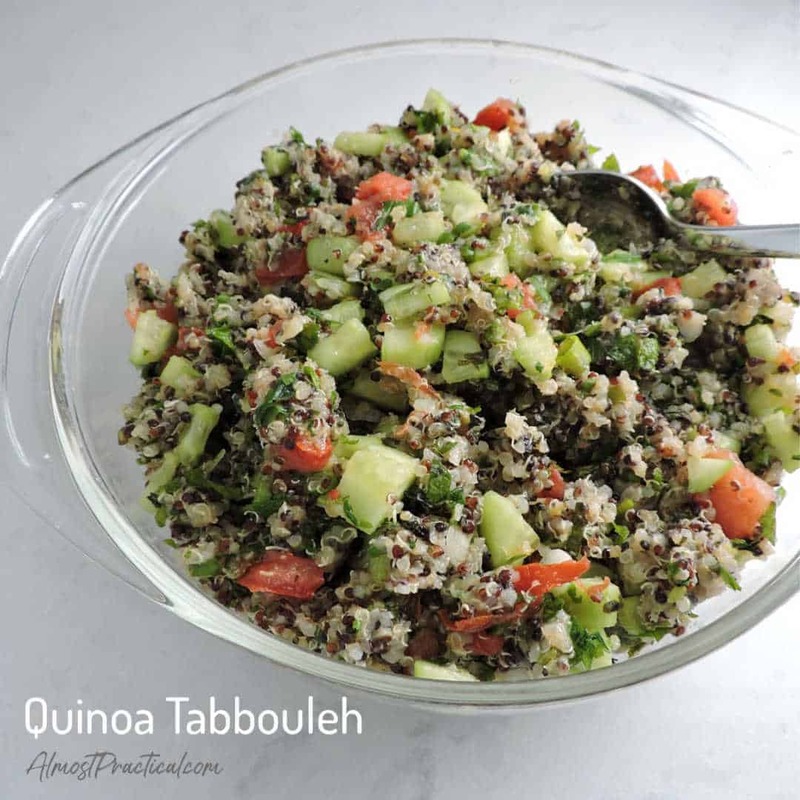 I love tabbouleh – it is a healthy and very flavorful salad that is works as a side dish or even a light meal. Traditionally, tabbouleh is made with bulgur wheat which, of course, contains gluten. However Michelle's recipe in the “I Love My Instant Pot” Gluten-Free Recipe Book is made with quinoa instead. It is still packed with flavor and I think it is even more light and refreshing than the original. I am publishing the recipe here with permission from Michelle Fagone and Simon & Schuster. Add quinoa, water, olive oil, lemon juice, and salt to the Instant Pot®. Stir well. Lock lid. Press the Porridge button and cook for the default time of 20 minutes. When timer beeps, quick-releases pressure until float valve drops and then unlock lid. Transfer quinoa to a serving dish and fluff with a fork. Toss in cucumber, tomatoes, lemon zest, scallions, black pepper, parsey, and mint. Refrigerate covered at least 1 hour or up to overnight. Serve chilled. This recipe was reprinted on AlmostPractical.com with permission from Michelle Fagone and Simon&Schuster. There are so many delicious gluten-free recipes in the “I Love My Instant Pot” Gluten-Free Recipe Book, I don't even know where to start. You will find everything from breakfasts to soups to main dishes to desserts and drinks. Making any kind of bread in the Instant Pot is a little bit awe inspiring, right? 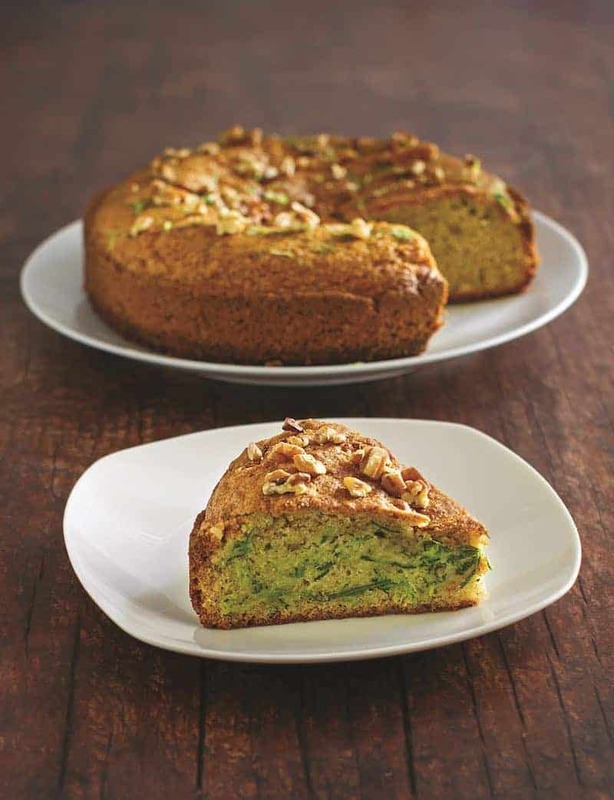 But gluten-free Zucchini Bread – that's definitely a wow factor right there! These will definitely be a hit in my house. Dessert is probably the hardest part of being gluten-free. It is a challenge to find recipes for delicious and decadent treats that satisfy the sweet tooth. 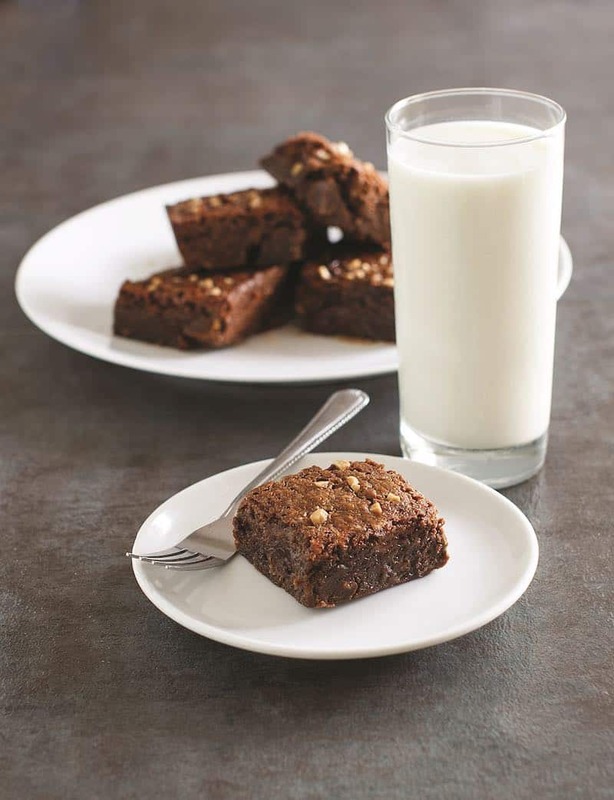 But I think that these Toffee Chip Brownies are going to fit the bill. You can find all of the above gluten-free recipes for the Instant Pot and more in the “I Love My Instant Pot” Gluten-Free Recipe Book right here on Amazon. I have to try this! It looks so good. I love using my IP and am always looking for new recipes to try. It is yummy! I would have never thought to make quinoa in the Instant Pot. It is amazing – all the different things you can cook in it. I don’t use it to it’s full potential. Have a great Thanksgiving!